This fourth installment in the Policy Management webinar series addresses best practices for distributing policies and determining when and how to provide training. We often think that once a policy has been formally issued the job is done, but that is far from the truth. Properly communicating about the availability of the policy is only the start. Join our panel of experts for a roundtable discussion of the challenges, best practices, and benefits of a well thought out policy communication plan. 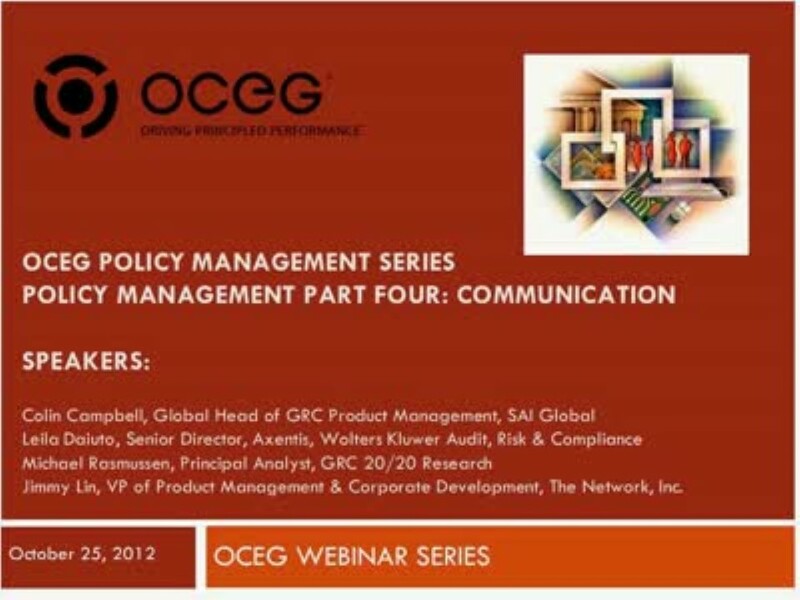 We have emailed instructions to access Policy Management Part Four: Communication to . Make sure the email arrives in your inbox: either add "support@oceg.org" as a safe sender to your email platform, or if you use Gmail, drag our email into your Primary tab.